Greece is a blessed land, where crystal blue seas, stunningly beautiful landscapes and hospitable people come together in a combination that cannot be encountered anywhere else. Hellenic Seaways is in the privileged position of traveling you in Greece, in order for you to experience the magnificent islands of the Aegean. Hellenic Seaways has been sailing the Greek seas since 1999 in its current form. 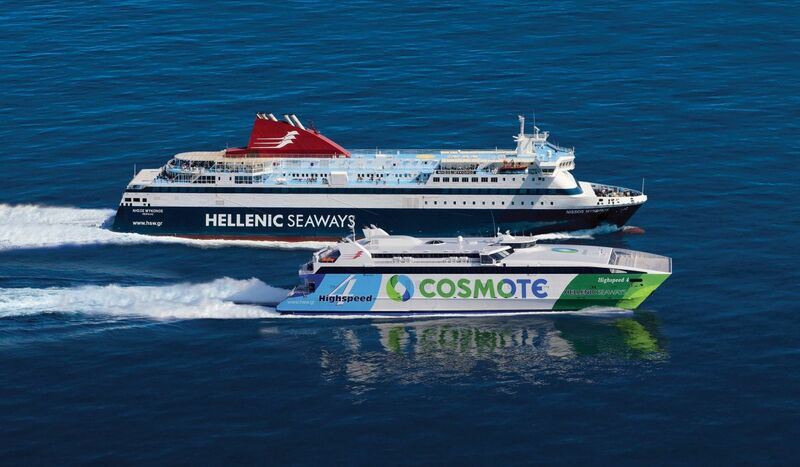 It is the largest Hellenic maritime company, owning and operating 18 conventional and high speed vessels which connect more than 36 ports in the N.E. Aegean, the Cyclades, the Saronic Gulf and the Sporades. Sailing the Aegean with Hellenic Seaways… a unique experience! The ongoing modernization and growth of the fleet, as well as the upgrade of the services provided to the passengers before, during and after travel, constitute a constant commitment and a strategic goal for the company. 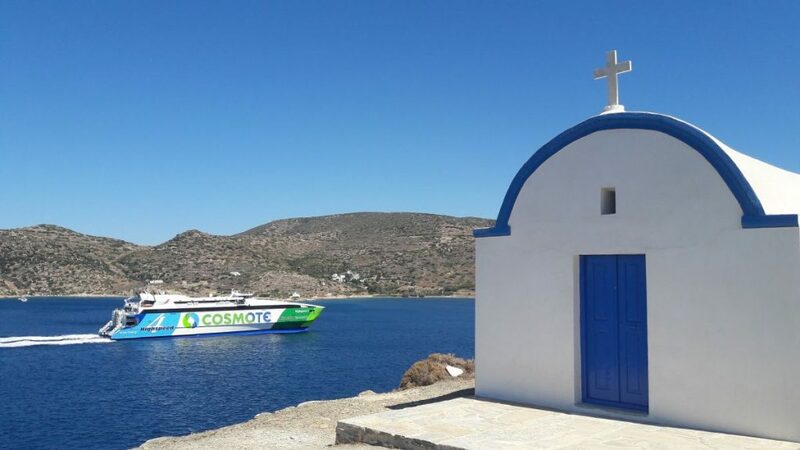 Traveling onboard a ferry to the Aegean islands is on each own something extraordinary. Being there, enjoy the big blue of the Aegean Sea under the bright Mediterranean sun and admire the breathtaking view, as the ship approaches the island. Hellenic Seaways with its modern and luxurious ferries and the high-quality services which its well-trained crew offers, makes this experience even greater. The company’s ferries feature reclining airliner-type seats as well as luxurious, tasteful and inviting lounge areas in both Economy and Business classes. They also have cabins for the passengers who need to relax this way. Moreover, in many ferries, passengers can taste a variety of Greek food delicacies in the very well equipped self-service restaurants which offer a large range of dishes catering to different tastes. 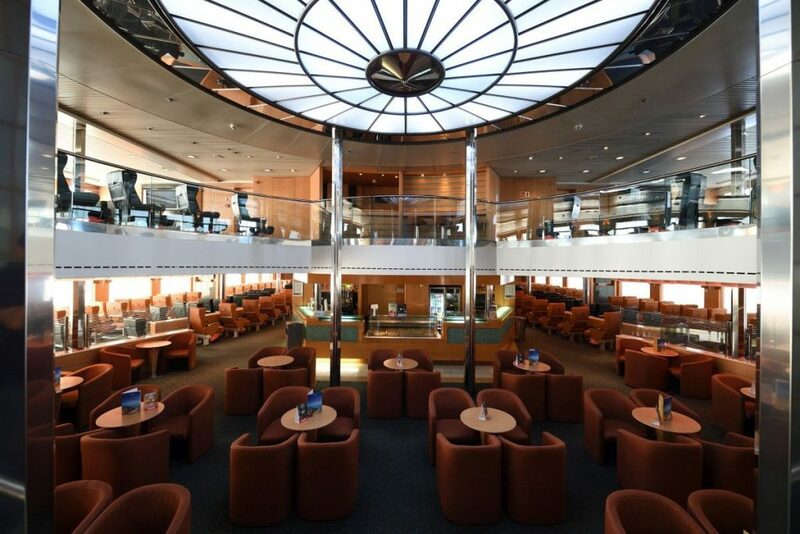 Snack Bars and cafés are available throughout the vessels as well as on the open decks. The deck bars serve passengers who choose to enjoy their journey on a ship’s open-air space, relaxing on comfortable sofas and chairs that are protected from the wind and sun by the special shelters. When speed matters… the ultimate choice is the Highspeed fleet of Hellenic Seaways which guarantees quick and comfortable travel to ten different destinations in the Aegean, reducing travel time by up to 50%! All of the Highspeed vessels feature modern reclining airliner-type seats, both in the VIP section as well as in the business and economy classes. On every ship, you’ll also find snack bars and stores selling gifts and other items. 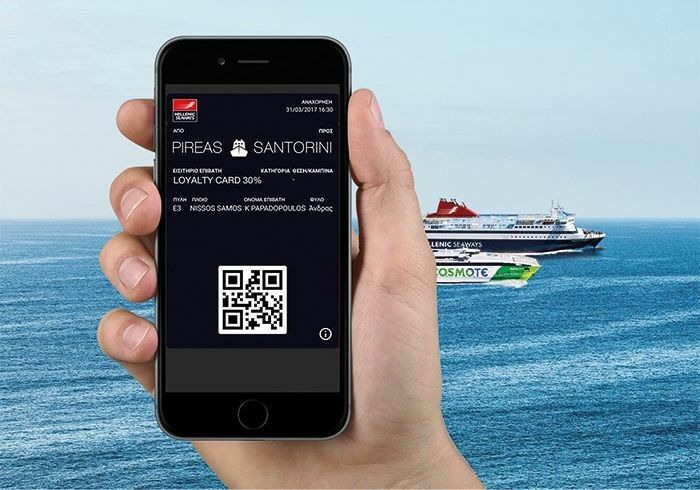 The Hellenic Seaways Smart Ticket/Web Check-in is a unique application in the Greek shipping market, which gives the opportunity to passengers who have purchased their tickets through the company’s website www.hellenicseaways.gr to travel without carrying paper documents. Instead, their tickets and boarding passes can be stored digitally on smartphones and/or tablets. This way, passengers will no longer have to worry about losing or misplacing the hard copy tickets while at the same time our footprint in the environment is consequently reduced. We wish you a wonderful trip and we are looking forward to seeing you on board!